with so much choice, which one do you choose? 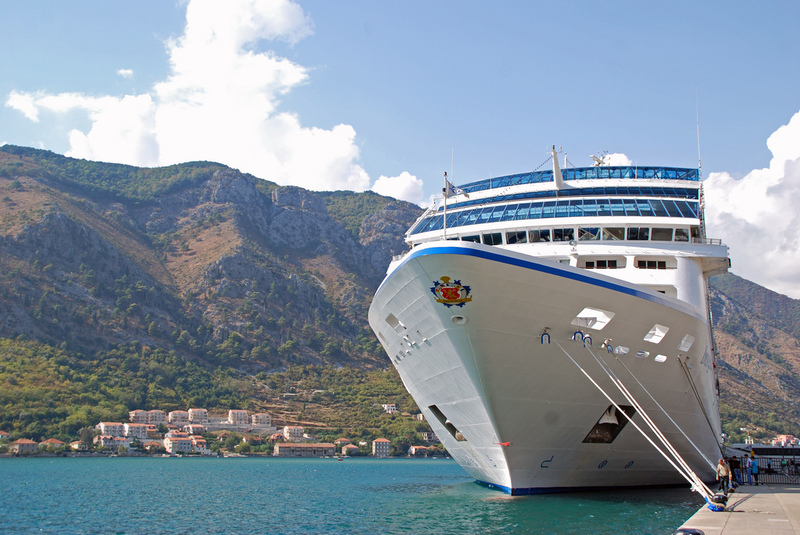 Once upon a time, cruises were believed to be for the more wealthy people of society but now that is not so much so. Yes, cruises are still fairly expensive in comparison with some holidays but now there are cruises to suit all all ages and budgets. The choice of cruises and tour companies that specialise in cruise deals can be a little overwhelming, which makes making your choice even harder! It would not be fair to name just one cruise operator as there are so many, all of which offer a variety of cruises with different itineraries. Most Cruise operators have a number of ships that offer cruises to many different destinations around the world. Each one is different and each cruise ship stops at different ports around the world. Obviously, many people do have their own personal preference when it comes to which operator they book through and also which ship they would like to sail on but what is ideal for one person’s requirements, may not be suitable for another. If you are wanting to book a cruise, it is advisable to do your home work and spend a little time searching all the different cruise companies to see what is on offer. This will allow you to not only see which operators offer the best cruise deals for your own personal requirements but it will provide you with a very good price guide. When is the best time to book your cruise? This really is a bit like the ‘chicken and the egg’ question! Some people may advise you to book your cruise well in advance. The reason for this is because they say that the cruise operators like to fill their cabins quickly and as a result, offer the best deals to those who book early. However, some people will advise you to hold on and book your cruise much later, such as a couple of week before travel. The reason for this is because they say that the cruise operators do not like to set sail with empty cabins as this is lost revenue and will reduce the price just to fill the cabins. So, which one is the correct advice? Well, both scenarios have valid points! Cruise operators obviously want to fill their ships quickly with minimum effort and obviously want to make as much money as they possibly can. This said, they also do not want to set sail with empty cabins because empty cabins equals lost revenue. The cruise operators are then left with having to strike a happy medium to ensure people book. The cruise operators know that there will be a certain amount of people who will pay top prices regardless of the cost and that these people will not be bothered when they book. However, they know that a large amount of people who may wish to book a cruise will be on a limited budget and will only book if the price is right. These people are the people they need to entice to make the booking and ensure they get them onboard. The big problem the cruise operators are faced with is that these people will be reluctant to book early because they fear the price may go down after they have booked. This then results in the cruise operator with empty cabins for longer which is not a desirable position to be in. The cruise operators also know that if they reduce the price of the cruise considerably at a later stage, they will upset the people that have booked early and this will cause a backlash of complaints and bad publicity. It is a difficult choice, especially if you are on a limited budget because the difference in price could be huge and it is not just a few pounds as it might be on a flight or hotel booking. Many people save a long time to pay for a cruise and the cost of a cruise is significantly more than your average holiday, so it is understandable why you need to get the best deal. Many cruise operators realise and fully understand this issue and as a result now offer ‘Price drop guarantees’. The introduction of the ‘Price Drop Guarantee’ helps the operators secure the booking and also provides the customer with peace of mind when booking the cruise. If you are wanting to book a cruise and have reservations about booking, it is worth checking to see if the operator offers a ‘Price Drop Guarantee’. If a cruise operator does not offer a ‘Price Drop Guarantee’ and you would like to book a cruise with them but are worried in case the price drops, simply ask them what their policy is. Many cruise operators will compensate you in other ways such as upgrades, you can even put this to them in your conversation and ask them to put it in writing. The bottom line is that it is not guaranteed that the prices wil not drop once you have booked, nor is it guaranteed they will drop if you leave booking your cruise until closer to the departure date. If you see a cruise that is offered at a price you a happy paying and is within yourbudget, then you really have to make the decision about booking it and how you will feel if the price drops. It is then worth contacting the operator and asking them the above questions, who knows they may even offer you a better deal to secure the booking! Remember, The cruise operators want your custom! Most people have an idea of where they would like to go and these ideas may be places they have always dreamt of visiting. It may be somewhere that has been recommended to them by friends or somewhere that they have read good reviews about. The hardest part when looking for the ideal cruise and then booking one to suit your needs and requirements, is finding the right cruise that ticks both the above boxes. Finding a cruise that will visit all the destinations you would like to visit can be a little tricky, especially if you are restricted to a limited budget. It generally means that you will need to be flexible and allow a bit of give and take. It may be that you need to weigh up the advantages and disadvantages of each cruise and make your decision based on your results. There are some fantastic cruise deals available and if you have a bit of flexibility in both your dates and your choice of destinations, you will not be disappointed! You may not always find a cruise that is the exact perfect match to your desired itinerary or one that is visiting every single destination you wanted and at the price you were hoping to pay. However, you will certainly find one that offers many of those destinations and you may be surprised on the price you actually end up paying. If you have an open book and do not have any particular destinations or itinerary in mind, you are in a much better position to finding the best cruise deals. Not having any specific requirements regarding destinations will allow you to be open to offers and as a result, you will have much more choice of deals. It is always best to search for cruise deals and to get a general pricing for certain cruises. Prices will always fluctuate between tour operators and spending a little time doing your research will pay dividends in helping you find the right cruise deal for your budget. To help you with finding the latest offers, we have listed below some of the most popular cruise operators that consistently offer the best cruise deals. Let’s be honest, cruises are certainly not the cheapest holidays to go on but are they worth all the money you pay? Well, if you book a cruise, you will be prepared for the cost and will obviously be expecting to pay quite a large amount of money for your holiday. However, there are some really good cruise deals to be found and if you can find one, then you will already be in front. Many people choose to go on a cruise simply because everything is done for them and they do not have to do anything for themselves. Food is on hand throughout the day, entertainment is provided and every day (or couple of days), when they wake up, they are in a new destination. This to them means much more than the money and they are more than happy to pay more for their holidays to have the hassle free experience. Cruises are not for everyone and while many people love them and think they are worth every penny, there are just as many who would hate them and believe they are a waste of time and money! The bottom line is it is down to personal preference. Cruises are not the cheapest holidays and if you can afford to go on a cruise, you probably will not be disappointed with what you get in return for your money. Yes, some cruises are better than others in terms of what you receive and the services and facilities they provide but in general, if you book your cruise with one of the major cruise operators, you will be ok and get your monies worth! No, not all cruises are ‘All Inclusive’. On the majority of cruises, all food and drink is included but not alcoholic drinks. However, there are many cruise operators that do offer ‘All Inclusive Cruise’ deals that provide passengers with the ultimate no worries, hassle free holiday. Cruising is one of the safest forms of travel but obviously with any form of travel, accidents can and sometimes do happen. However, cruise ships are heavily regulated and must follow strict International rules known as Safety of Life at Sea (SOLAS), no matter where they are sailing. These strict rules ensure that cruising is as safe as it possibly can be and that passengers safety and security is paramount. Without doubt, cruises can certainly be fun and there is definitely so much to do for everyone. From activities throughout the day to entertainment and shows at night, cruising really is a fun packed experience for all the family. Cruises are certain not the cheapest holidays you could book and through the years have gained a reputation as being very expensive. However, the price of a cruise has certainly become affordable to most people and now there are more offers for cruises than ever before. Yes, some cruises can be very expensive, especially if you book certain ships but if you do a little research and look around, there are definitely some great bargains to be found, that will not break the bank!